Betfair poker is owned by the The Sporting Exchange Ltd., the same company that operates the biggest sports betting exchange in the world. So, when it comes to reliability, Betfair's poker is definitely trustworthy room. Since they joined the iPoker Network there is a significant increase in traffic and an enhanced gaming environment thanks to their very solid software. 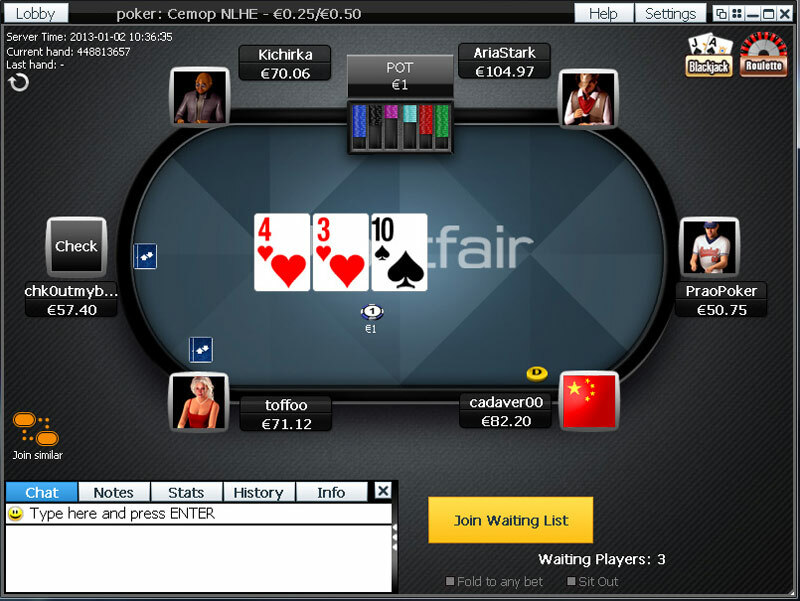 After last upgrade Betfair client is now Mac compatible, there are a lot of new promotions, New Betfair Players' Club is launched, they guarantee $13 million in tournaments every month and much more. Terms: New Poker players who haven’t deposited into Poker before only. You must deposit €10 into your Poker account to qualify. Please read full terms for breakdown of bonuses. 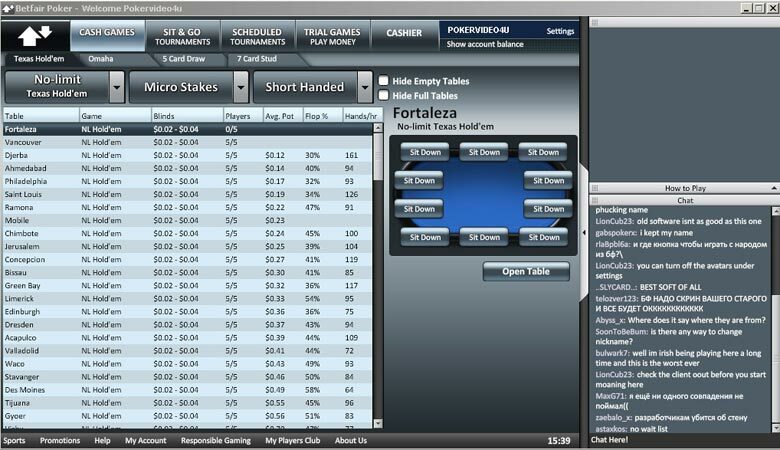 About software Betfair's poker software was heavily criticized in the past but since joining the Ongame poker Network it has been improved and now offer all of the industry standard functions such as Multitabling with up to 15 resizable tables, notes, search and location of players, hand history, show folded and other features like streaming multimedia content directly through the software and Timebank option( extra 30 sec. thinking time during tournament play ). With last update Betfair Poker now offers "The New Betfair Players' Club" where you can exchange your PP's (Player Points) for cash, better graphics, new games like Omaha Hi/Lo, 7-card Stud Hi and Hi/Lo and 5-Card Draw. For Mac users it's good news that beside instant poker version Betfair software in now offered in download version. Betfair Poker competition On Betfair Poker you can expect loose play on all ranges from micro and low limits to higher stakes. Supported languages English, German, French, Italian, Spanish, Swedish, Danish, Norwegian, Turkish, Polish, Greek, Catalan, Portuguese, Hungarian, Czech, Russian, Croatian, Slovak, Bulgarian, Chinese, and Finnish.